SEOUL, SOUTH KOREA, March 18, 2019 — Daycare Centers for the Elderly are facilities where senior citizens who suffer from geriatric diseases, such as Alzheimer’s, are allowed to get care services near their home when they are needed. The Seoul Metropolitan Government will inject a total of 15.41 billion won (US$ 13.6 million) this year to increase the number of the facility and its quality at once. It is part of the efforts for the city government to make Seoul an aging-friendly city by increasing reliable daycare centers that provide a good quality of care service for the elderly. On top of it, the Seoul Metropolitan Government will spend a total of 3.37 billion won (US$ 2.9 million) to increase the number of the daycare center that shall meet public interests. It plans to support up to 1 billion won (US$ 880,000) to autonomous district offices (“gu offices”) and corporations that utilize public buildings to run a daycare center or set up a new center in the existing social welfare facilities. In case of corporations, senior citizens’ welfare related business shall be registered on their articles of association and also their basic property requirements shall be met. Eligible district offices and corporations will be provided with financial support in the establishment of the daycare center and purchase costs of vehicles and equipment. A total of 31 daycare centers have been set up for the last five years from 2014 to 2018 with such a support from the city government. A facility qualified to receive this support shall make an agreement with the district office that has the jurisdiction of the facility and faithfully operate the center for at least five years. It also shall be certificated as a Seoul-type day care center to provide more than a certain level of service. The Seoul Metropolitan Government certifies the reliable facilities as Seoul-type daycare center and is expected to spend a total of 12 billion won (US$ 10.6 million) this year to support their day and night operation expenses, environmental improvement costs, and payroll costs for substitute workers. Seoul-type daycare centers certificated by the Seoul Metropolitan Government are facilities qualified in a total of 36 categories in five areas. Not only corporations and public organizations, but also private organizations and facilities can be certified if they pass through examinations. Currently a total of 391 daycare centers are being operated in Seoul. 192 among them (around 49 percent of the total in Seoul) being certified as Seoul-style daycare centers. 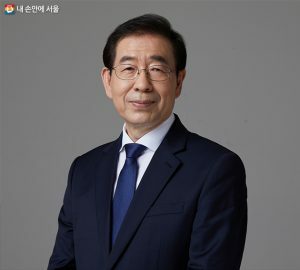 In addition to that, the Seoul Metropolitan Government plans to establish a daycare center for the elderly as an annex when it builds up a public care facility, and to improve facilities if it operates the daycare center on a rented building, a religious facility, or an outdated senior citizen community center.